Aero Snap is one of the best features in Windows 7 because it makes managing Windows much easier. 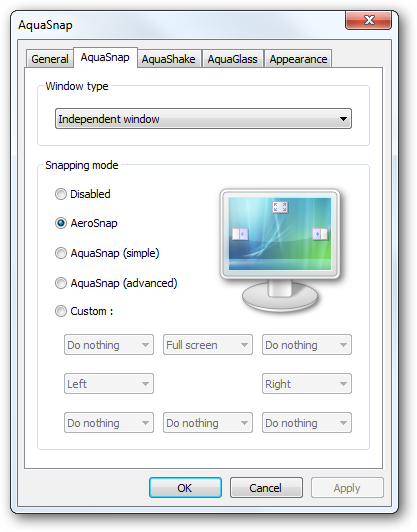 Now users of Windows Vista and XP can join in the fun with the help of AquaSnap by Nurgo Software. The free utility expands on the features offered by Microsoft’s Aero Snap by allowing users to not only snap windows on both sides of the screen, but also in corners and add multi-monitor support. AquaGlass is another useful feature that makes a window transparent when it is moved.